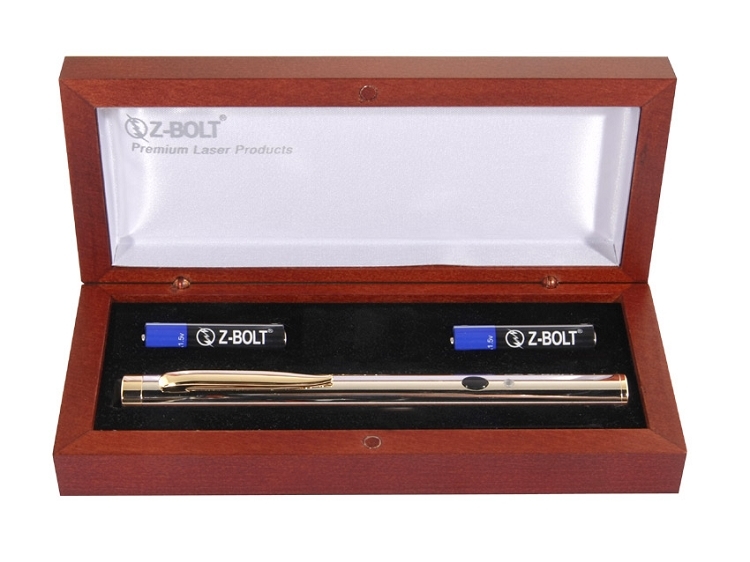 The Z-Bolt® BTG-6 green laser pointer is our economy model. Pocket size (134mm) for easy carry: great for presentations, briefings, general use. Gun metal travel & carry case; black or mirrored chrome finish. Includes an IR filter for eye safety. 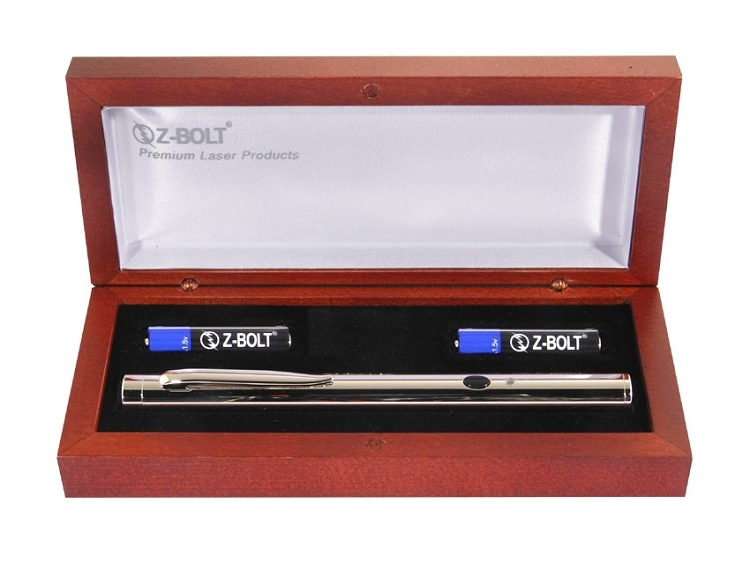 The Z-Bolt® BTG-6 green laser pointer is our standard economy model. Pocket size (134mm) for easy carry - great for presentations, briefings, general use. 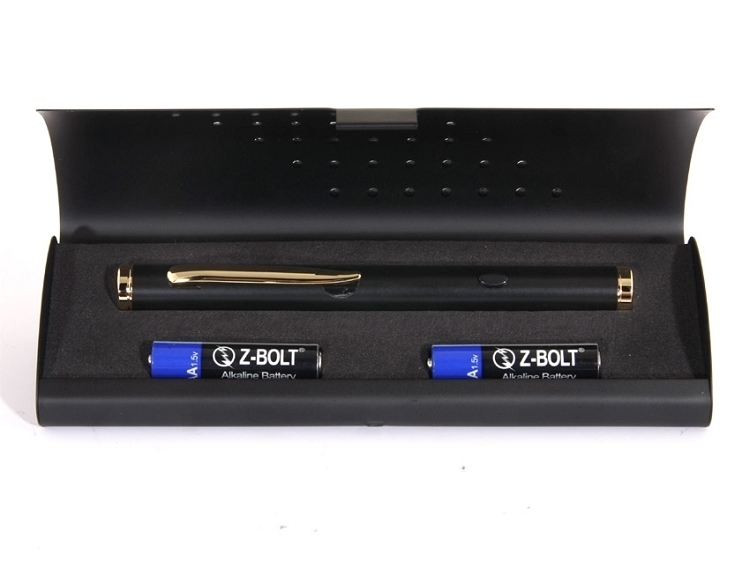 The BTG-6 ships in a gun metal travel & carry case and includes 2 pcs AAA batteries. 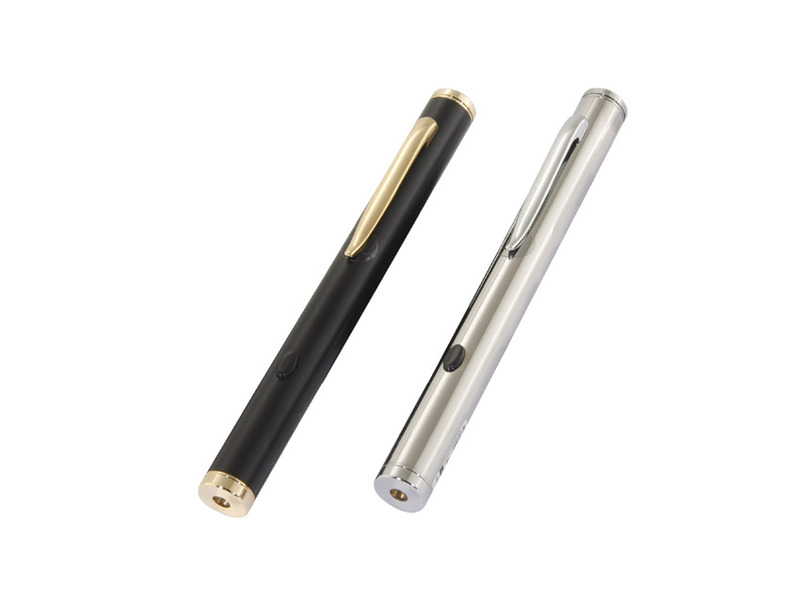 Choice of two (2) tube finishes - jet black or mirrored chrome. Jet black can be personalized - engraves a vibrant gold (engraving exposes polished brass casing) Best choice when highest power not required. The green laser diode features computerized APC circuitry. The BTG-6 green laser diode features computerized APC circuitry and includes an IR filter for eye and office safety. The computerized APC diode drive circuit features "Automatic Power Control". The APC circuit is based on a photo diode feedback loop. The photo diode monitors the optical output and provides a control signal for the laser diode, helping to maintain the diode operation at a constant optical output level. The circuit adds to the lifetime of the laser, prevents overheating, and provides overall power output stability & efficiency.